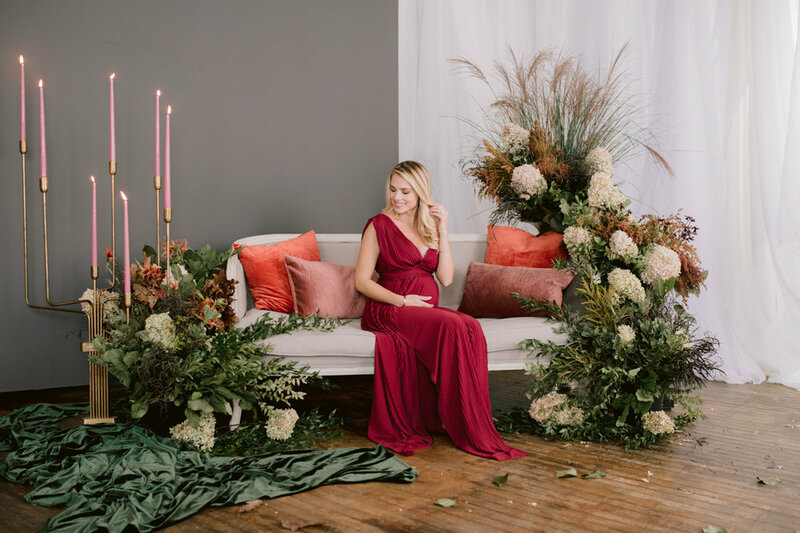 We dreamt up this autumn maternity shoot when we heard that beautiful Rebecca was pregnant. I wanted to take a unique approach to this session by incorporating warm fall colors in an industrial studio environment. Allium Floral knew exactly what I meant when I described this dreamy & modern vision. Vibrant rich florals and sweet hydrangea framed the linen vintage couch. 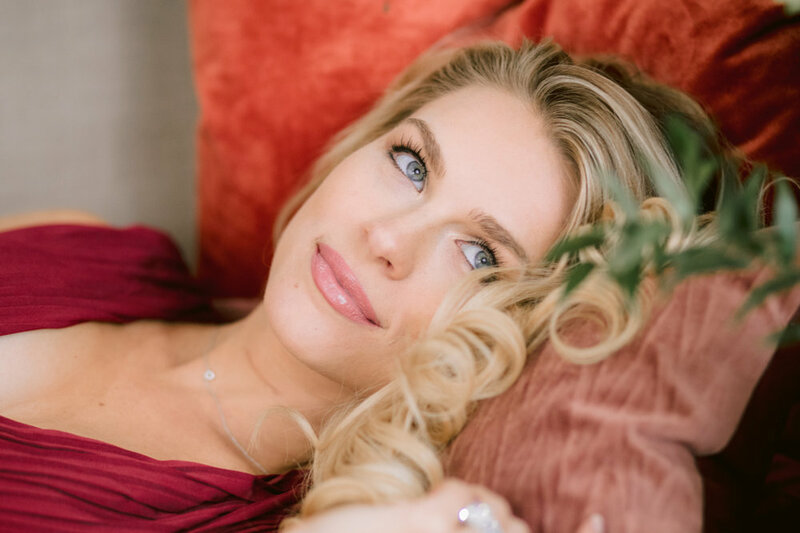 The wispy dried greenery was the perfect touch to this November photoshoot. The Sugary provided us with a luscious little cake perfect for the upcoming holidays. 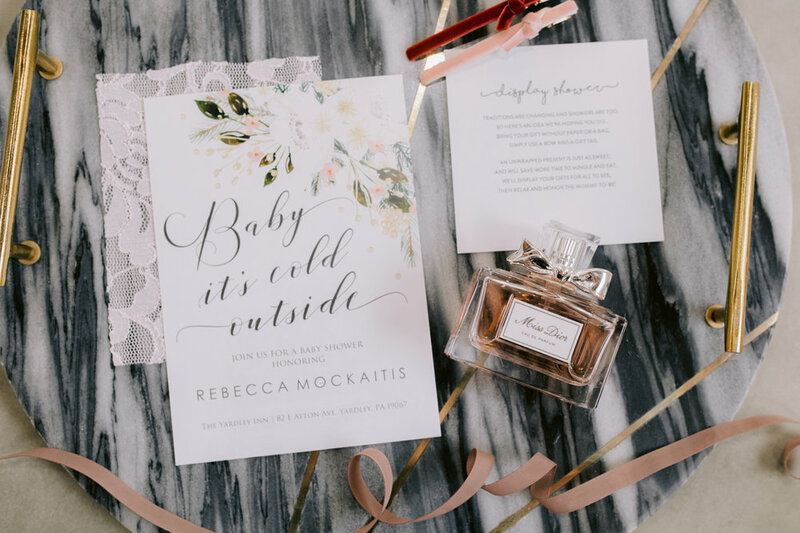 Rebecca brought along some heartfelt details as well as her shower invitation. With snowy hills outside, this was truly a festive maternity shoot.